The Tri-State area has a new cover band to get excited about! 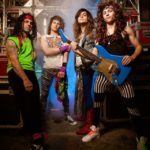 New York’s Radio Riot have quickly pushed and shoved their way through the circuit with their “party like you just made bail” brand of party rock! 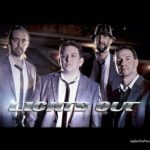 This six-piece group, fronted by powerful male and female lead vocals, instantly sets itself apart from other bands with its abounding energy and unsurpassed showmanship. This band’s versatility, stage presence, and infectious brand of fun will have grandma grooving along with the flower girl!